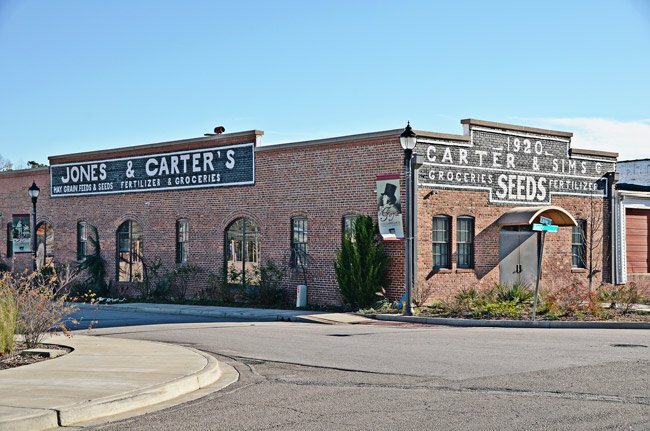 The Jones-Carter Gallery in Lake City takes its name from the Jones and Carter Feed and Seed store that originally occupied this building. The brick warehouse was built around 1920 and sold grains, produce, and fertilizer to local farmers. Lake City was at one time a booming agricultural market boasting the highest strawberry production in South Carolina and the largest bean market in the world. The building was vacant when it was restored in 2013 for a state-of-the-art gallery. The 3,000 square-foot space is the only Smithsonian-qualified gallery in the region, a designation it earned after a lengthy and discriminating application process which addressed details such as security and light filtration. The Jones-Carter Gallery opened in time for Lake City’s inaugural ArtFields festival and competition, showcasing works to art lovers from all over who attended the celebration.